If you are ready to sell your Beach property no one offers the Marketing Plan I provide. In this market where sales are down 50+%, exposure is your best asset. Our Maximum Exposure Marketing Plan is Unmatched! · You have over 100 web sites working for you 24/7 grabbing potential buyers. · You get the maximum amount of digital photos in the MLS for buyers to see and get excited about. · You get Full Color Photo Postcards mailed to our target market group of investors and buyers. · You get a Professional Digital Tour of your property linked to 100’s of web sites. · You get a custom web page for your property with digital tour and hit counter to track the traffic. · You get monthly email market updates on your current position in price compared to your competition. · You get emails of any listing that is new, under contract or sells in your complex the day it happens. 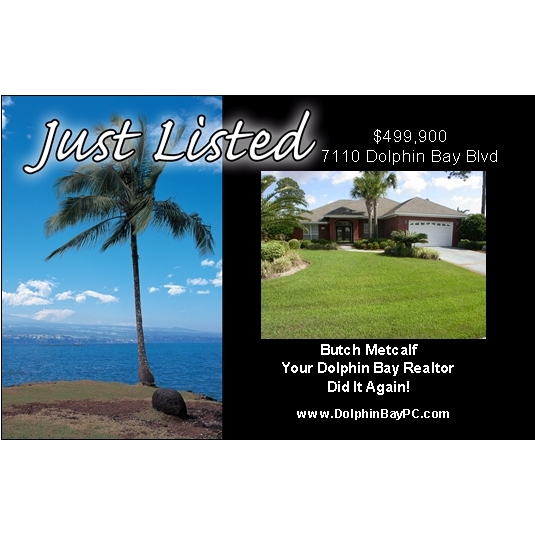 · You get email brochures with active links to the tour and mls listing sent to all Bay County Agents. · You get Featured Property positioning on specific web sites. · You get Enhanced Listings on www.Realtor.com (top billing with showcase banner and scrolling ad banner plus all photos and full description. We are one of only 3 companies that offer this exposure at the beach) . All this for the same price. * Most agents have no personal web site. Your property will be exposed on our 100+ sites to grab buyers from the internet click here to see Your property will be the Featured Property on the complex's web site. * Most agents in this market do little or no advertising. * Most agents do not put the maximum photo's in the MLS system. * Most agents don't have a mailing program. Your property will have an Aggressive Mail Program with high quality postcards. Your property will have a multi page web site with digital tour and more. Your property will be linked to dozens of web sites on the internet. You will get maximum exposure around the US. You will receive Monthly Market updates by email ( information on where the market is in regards to your property and report of how many inquiries that were generated for your property each month. If the question is who do you hire to sell your property? The answer is simple! Serving Panama City to Destin and all points in between. If it cost the same to hire the best why settle for less? R. Bruck in Atlanta wrote "You did more work in the first 24 hours of our listing than our last agent did through the entire transaction. What a refreshing change." D. East of Sharpsburg wrote "You were the only agent that I called that actually answered their phone when I needed help. The majority of them never called me back. Thanks for being prompt." CB of Georgia wrote "I get tons of mailings about condo's for sale but your postcard program is the best I've ever seen." D.E. of Atlanta wrote. "Butch you did more work in the first 24 hours than the last agent did in the entire transaction. What a difference!" L.W. of Newnan Ga. wrote. "Butch, Great news! As some of your other customers have said in your web site, I have heard more from you in the first 48hours than from my other realtor for the entire 6 month contract. Thanks for keeping us informed." fixed and the enthusiasm and positive attitude that you continued to exude, kept our spirits high. an opportunity to use or recommend your services, we would do so in a heartbeat! Your Property is a valuable asset. Don't trust it to an inexperienced person. It could cost you thousand's. If you were having an operation wouldn't you want your doctor to be highly qualified? Real Estate is no different! I'm Butch Metcalf, your highly qualified Realtor. I have been selling Real Estate since 1980. 18 years with Re/Max and was #1 in office when I opened CitiStar Realty in 1998.